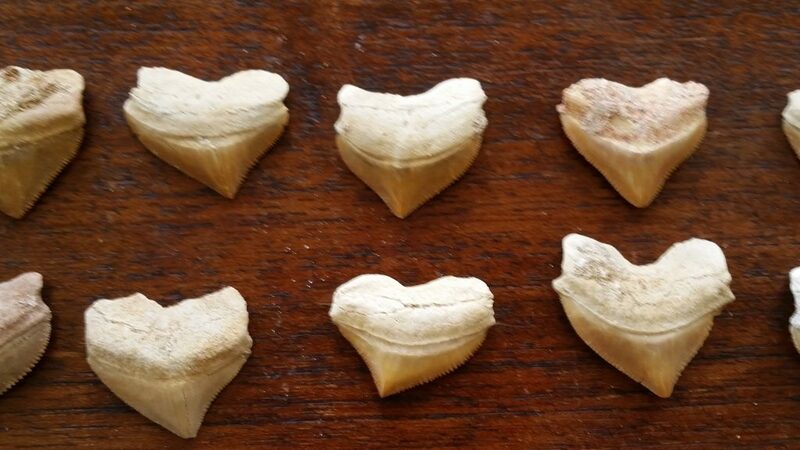 Sharks are continuously loosing and replacing their teeth over their life span and as a result of this Shark Teeth are a commonly found Fossils. A shark tooth when it falls out will usually have to fall into a sedimentary layer in order to fossilize and the fossilization process will take a minimum of 10,000 years. The most common Shark teeth come from the Upper Cretaceous and Tertiary periods.